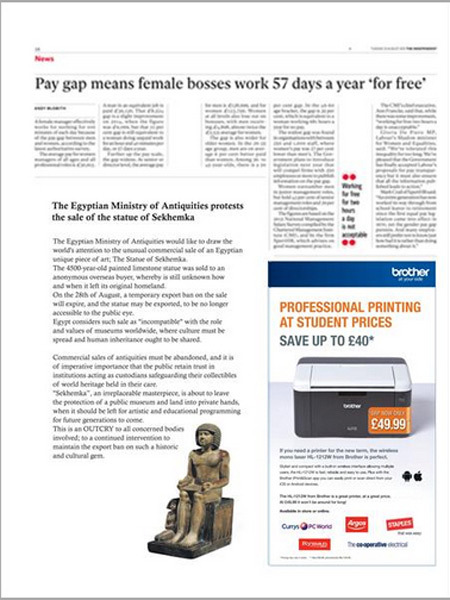 The Egyptian Ministry of Antiquities has today launched a new national newspaper advertising campaign across some of the UK’s most read print publications. 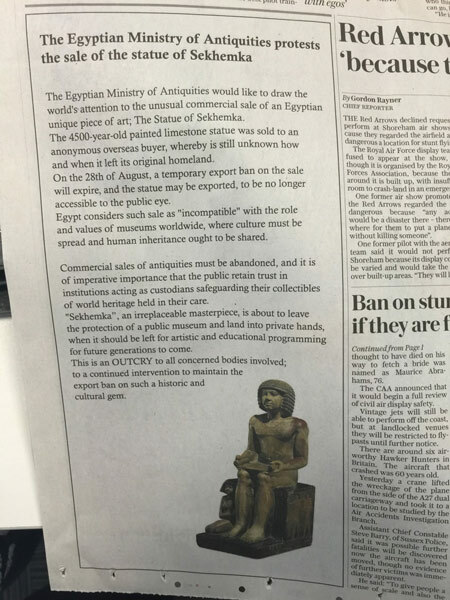 Coordinated by Media Agency Group’s print advertising division Press Mag Media, the campaign draws attention to the controversial commercial sale of a piece of unique Egyptian art; The Statue of Sekhemka. The irreplaceable statue was blocked from being exported by the Department for Culture, Media and Sport earlier this year in an effort to allow potential UK buyers to put forward a serious bid to keep it in the country. However, this embargo is due to expire on 28 August. The Egyptian Ministry has issued this outcry in order to maintain the export ban on such a historic and cultural gem to prevent it from falling into private hands. The press campaign will see the Ministry’s message reach millions of readers across the country, with some prime advertising space secured in national publications including The Daily Mail, The Guardian, The Times, The Independent and Metro.